Distinguished pianist Alexander Tselyakov has been described as a “phenomenal pianist” (Germany), having “an intoxicating sound” (Israel), and “a perfect artistic individuality” (Russia). He began his concert career with the Azerbaijan State Philharmonic Orchestra in his native Soviet Union at the age of nine. Alexander Tselyakov went on to win one of the leading prizes at the prestigious VIIIth International Tchaikovsky Competition in Moscow, the Second International Music Competition of Japan, the Ibla Grand Prize International Piano Competition and the Mazara del Vallo International Piano and Orchestra Competition in Italy, the Israel Competition and the New Orleans International Piano Competition. His playing has inspired standing ovations in Japan, Germany, Italy, Israel, Spain, Portugal, France, England, Sweden, Austria, Poland, Finland, the United States, Denmark, the Netherlands, Turkey and Canada where he now makes his home. Tselyakov combines virtuosity with breath-taking musicality in the Russian tradition of great pianists. He studied with Lev Naumov (custodian of the Heinrich Neuhaus methods that are credited with producing many extraordinary twentieth-century Russian keyboard masters such as Gilels and Richter) at the Tchaikovsky Conservatory in Moscow. Tselyakov has performed frequently with leading orchestras including the Leningrad Philharmonic, the Moscow Philharmonic, the Moscow Radio Symphony and the State Byelorussian Philharmonic. He has appeared with the Tokyo Philharmonic, the Toronto Symphony Orchestra, the Warsaw National Philharmonic Orchestra, the Orchestra Symphonique de Québec, the Buffalo Philharmonic, the Kitchener-Waterloo Symphony, the Virginia Symphony, the Istanbul State Symphony Orchestra and Symphony Nova Scotia, to name a few. Tselyakov has appeared as a recitalist at major festivals and concert halls around the world. He has performed at the Shostakovich Philharmonic Hall in St. Petersburg, the Great Hall of the Moscow State Conservatory, the Tel-Aviv Museum, the Toronto Art Centre (the Ford Centre), the Glenn Gould Studio in Toronto, the Palais Montcalm in Québec, the Kleinhans Music Hall in Buffalo, the Temppeliakin Kirkko Hall in Helsinki, the University of Fine Arts and Music in Tokyo, the Conservatorii Publico Professional in Granada (Spain), and at the Regentenbau Hall in Bad Kissingen (Germany). While still in Russia Tselyakov was appointed concert solo pianist with the Byelorussian State Philharmonic and Assistant Professor of Music at the Tchaikovsky Conservatory in Moscow. After moving to Israel in 1991, Tselyakov continued to impress audiences and critics alike. Several more important prizes followed along with recitals for such dignitaries as Michael Gorbachev and the late Yitzhak Rabin. In 1994, Tselyakov immigrated to Canada and made his debut to great acclaim that December at the Ford Centre for the Performing Arts in Toronto. Recitals across the country soon started to materialize. 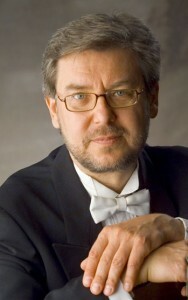 Tselyakov is now counted in the ranks of Canada’s leading concert pianists. That indescribable “something extra” which is so evident in his concerts made an immediate impact on Canadian audiences and continues to do so. Recent concerts have included a highly successful performance at Carnegie Recital Hall in New York, critically acclaimed concerts at Wigmore Hall in London, performances at The Centre Cultural (Paris, France), the University of Chicago, the International Piano Festival in Istanbul, at Merkin Hall (New York), at the International Piano Festival (San Jose, CA), the Ottawa International Chamber Music Festival, the Phillips Collection (Washington), the Embassy Series (Washington), at Blackheath Hall (London), the Vendsyssel Festival (Denmark), the Stockholm-Royal Palace Music Festival (Sweden), at Bösendorfer Saal (Vienna, Austria), at Cristofori Concerten Hall (Amsterdam), and at the Concert & Congress Centre de Doelen, Rotterdam (Netherlands). Tselyakov has also been heard recently on WQXR New York’s “Reflections on the Keyboard”, on the Danish Radio, on the BBC Radio (London, UK), ON Erstsendung, DeutschlandRadio Berlin (Germany) and on CBC Radio (Canada).